Ready to start a life of adventure on the road, needing to take a cross-country road trip? If so then you need to come to your local Airstream dealer in Wisconsin and see one of the many new and used Airstream, trailers for sale in your area. Ewald’s Airstream of Wisconsin is known for having a large selection of new and used campers for sale with everything from an Airstream Basecamp, to an Airstream International Serenity for and everything in between. Here at Ewald’s Airstream of Wisconsin, we understand that when it comes to finding a large selection of new and used travel trailers for sale the process can seem never-ending. Which is why we have a team of people who are happy to answer any and all questions you may have about one of the many new and used cars for sale. That includes questions about one of the many Airstream International Serenity for sale here in Franklin, WI. This Airstream for sale comes with many features both inside and out that you will not want to miss. This Airstream trailer for sale is ready to transport you to serene peace and comfort no matter where you go. The International Serenity features an Eastern design that emphasizes harmony and elegance. 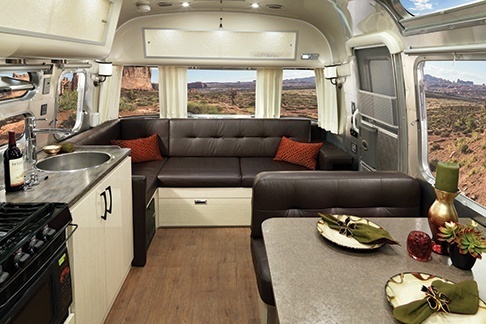 With impressive features like lemongrass and rice paper that deliver luxury and tranquility, your body and mind will feel the soothing effects the moment you walk into this Airstream camper. The Airstream International Serenity can comfortably sleep up to six people at a time and with many different layouts to choose from you can pick a sleeping an argument that best suits you and your family. With panoramic windows, your Airstream trailer will feel light and bright, and with blackout curtains, you can total privacy when you want it. This Airstream for sale also comes with a galley style kitchen that makes it ideal for cooking all of your favorite meals. Plus with features like a sink cover and folding side table, you will have plenty of room to serve your food. A three piece bathroom allows you to shower in the comfort of your trailer instead of showering in RV park community bathrooms. Take the comfort outside and relax under the awning of your Airstream trailer. Gentle curves of the classic Airstream aluminum body allow your eye travel in a relaxed manner across this Airstream travel trailer. 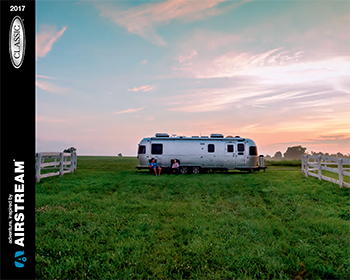 You can count on the Airstream to be there when you need a moment of peace, and with its aerodynamic design, you will have a stress free hauling experience no matter where you go. When you are looking for a large selection of Airstream travel trailers for sale, do not miss out on the large variety here at Ewald’s Airstream of Wisconsin here in Franklin, WI. Our team of friendly and knowledgeable people are happy to show you one of the many new and used Airstream trailers for sale near you in Franklin, WI. When you are looking for Airstream dealers in Wisconsin, come to Ewald’s Airstream of Wisconsin at 6269 S 108th St, Franklin, WI 53132.